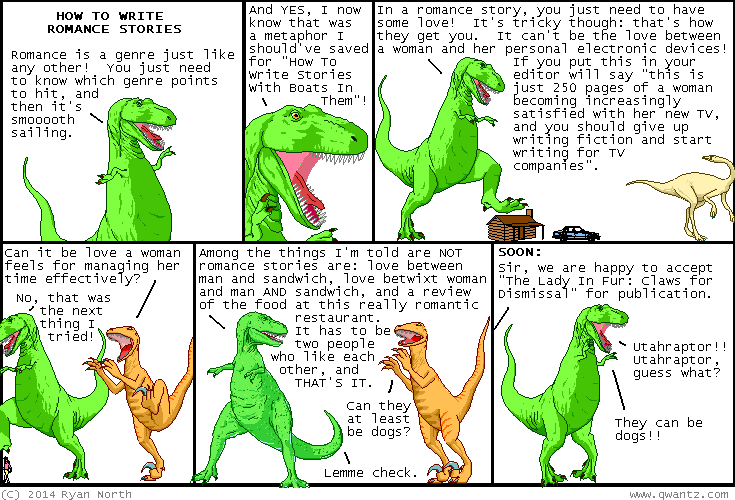 Dinosaur Comics - October 27th, 2014 - awesome fun times! October 27th, 2014: Hey, remember when I said I was writing a Squirrel Girl comic? Now you can read the first two pages of that Squirrel Girl comic right here! (Or also here in case that site is down, which it appears to be right now!) The book comes out in January so y'all gotta wait for the rest of it though. One year ago today: the broken plates are other PLATES recreating how they got murdered! plates are jerks, i don't know what to tell you!